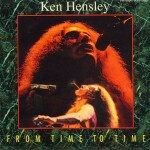 «From Time To Time», released in 1994, immediately became a very important album for Ken Hensley fans: this collection of previously unreleased songs recorded between 1971 and 1982 was the first release after a decade of hiatus, during which Ken only occasionally was involved in other people’s projects as a guest musician. «From Time To Time» suggested that Ken returned to music. The musical material collected on «From Time To Time» is diverse: it includes demo sessions for the first two solo albums; tracks that were recorded but not released on «Free Spirit»; three ballads written in 1979; demo versions of two songs for Uriah Heep’s «High And Mighty», as well as recordings made in 1982 in Denver. Two songs, «Inspiration» and «Who Will Sing For You», were previously released as B-side singles. Executive producers — Robert M. Corich and Paul Honeyfield. Engineers — John Gallen, Tony Patrick, Peter Gallen, Asley Howe, John Fishback. Tracks recorded in the UK (Dodgy Demos, The Roundhouse, Luxembourg Studios, Nova Sound) and the USA (Crystal Studios and Applewood Studios). “Name Of The Game” mixed by Paul Golding at CTS, March 1994. 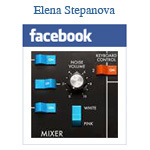 Mastering — Nick Watson (SRT) for Red Steel Productions. Artwork — Creation Graphics, Luton, England. Liner notes were written by Ken Hensley and Robert M. Corich.